There are several reasons why I believe virtual reality will be an extremely disruptive technology in medicine, and it will start with education. In order for people to understand why this is the case they first need to understand what exactly virtual reality is. I would describe virtual reality as a technology that allows the individual to ‘teleport’ to a different environment as an invisible spectator. 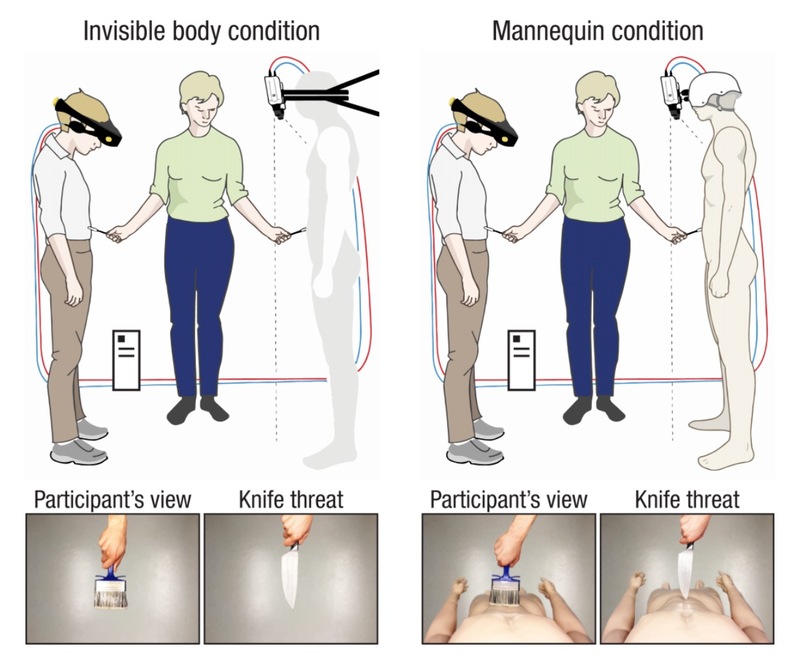 Effective VR is a ‘brain hack’ so strong that it can actually trick the user into believing they are someplace else, which potential leads to interesting therapeutic applications1. 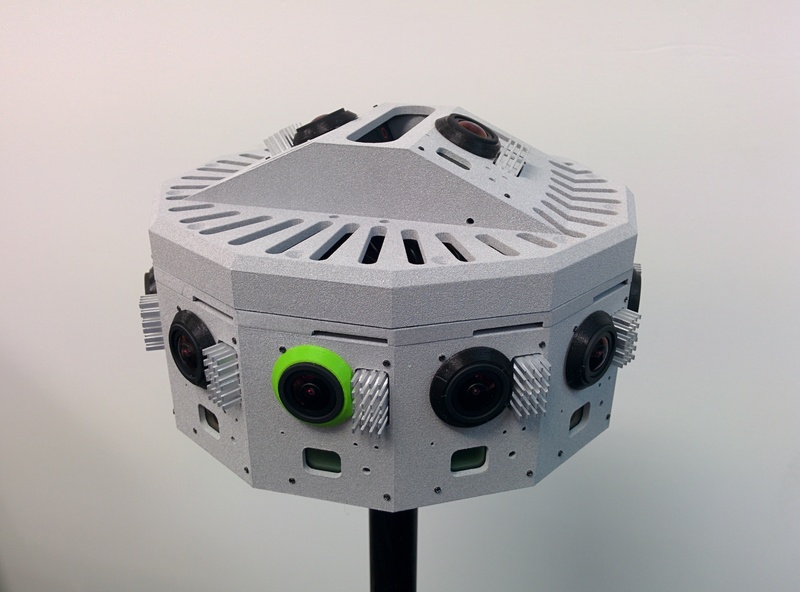 A virtual reality scene can be either computer-generated or captured with 360º cameras. Both approaches have tremendous potential for medical applications. 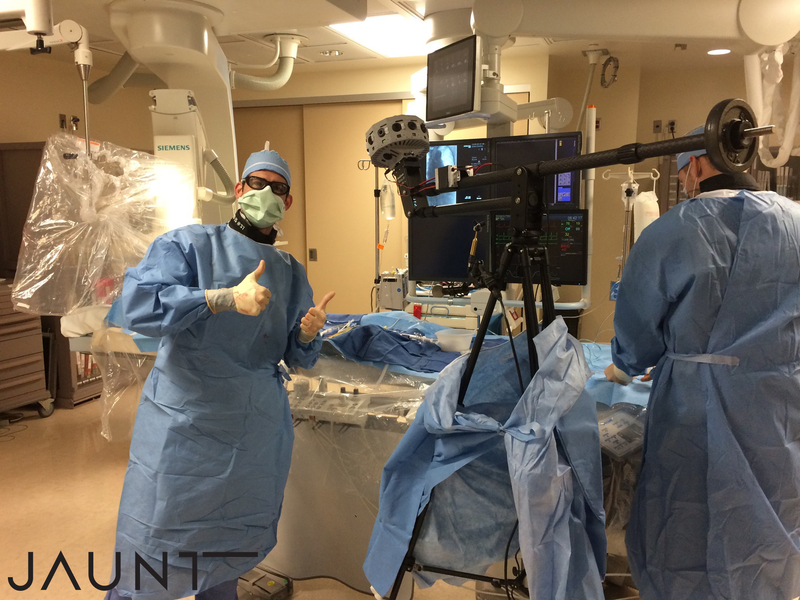 On March 25, 2015 at El Camino Hospital, Mountain View, California we explored the potential of virtual reality by capturing important teaching pearls in interventional procedures that could potentially lead to better patient care and outcomes. The Ultrasound Guided Access initiative. This I learned in my advanced peripheral endovascular fellowship with Dr. James Joye and has proven to be a very valuable technique that without a doubt can avoid disastrous complications if used properly. With the assistance of the Medtronic team we were able to setup up a simulator to evaluate feasibility. 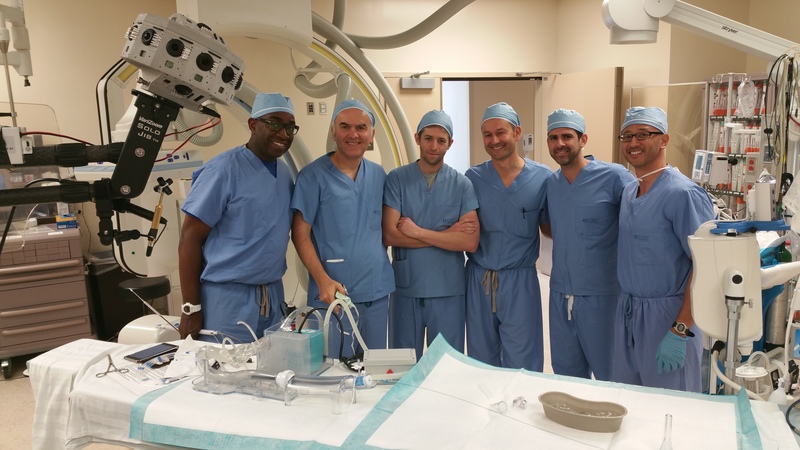 We explored capturing the steps involved in the preparation and deployment of a Medtronic CoreValve. The value of capturing and perfecting this content in VR could completely change the dynamics of training courses, not only for this device but for all others as well. Once the footage was obtained and processed by the Jaunt VR team I had the opportunity to experience it through Oculus technology. The results surpassed my expectations and therefore I stand by my initial vision. I firmly believe that with the right leadership and initiative this will be a game-changer in medicine. Why you may ask? Physicians learn procedures by repetition. The concept of ‘see one, do one, teach one’ is, in my opinion, is outdated. Maybe this worked in 1850 since it was the only option, but it is unacceptable in this day of age. VR allows the in-person demonstration to be repeated as many times as desired, and you can change your point-of-view with each viewing to take in even more information than if you were actually present for the procedure. The fact that one can be next to the individual performing the procedure over and over and focus on different aspects is priceless. Unlike traditional video displays, VR provides a human-scale, interactive facsimile that is potentially indistinguishable from reality. Exponential growth in technology drives down the price of many devices, including smartphones. By 2020 80% of the adult population will have a smartphone2. This is important because along with a $5 to $20 the Google Cardboard, your smartphone turns into a VR Headset3. Most recent android phones support Cardboard and you can try it for yourself with Jaunt VR’s publically available apps4. This does not mean that everyone should be producing content but it does mean that everyone can learn from it, from simple stitching to familiarizing oneself with more advanced technologies like CoreValve implantation. 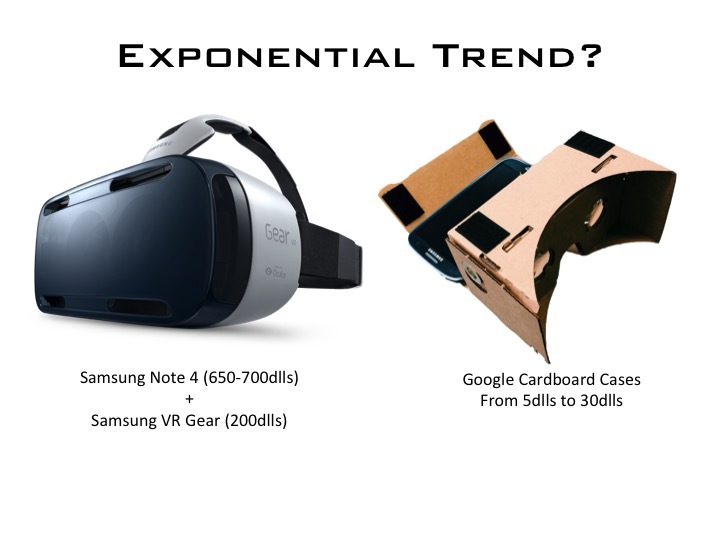 Technology is changing at an exponential rate. Just think of what merging VR technology with haptic feedback, ubiquitous networking, and tele-robotics can enable. Initially, education is the obvious application, but there is no reason why performing surgeries this way could not be done. Consider, for example, the successful telementoring project done back in 2003 between Brazil and the United States5. I would like to emphasize that this would not have been possible without the support from Jaunt VR who allowed me to dream a little and get a taste of what I believe will be the beginning of a great thing for medical education. In May 6, 2015 I will give a talk at SCAI regarding the incorporation of implementation of exponential thinking and technologies. Here I will share the immersive 360 experience with my Samsung Gear VR and other means as well.